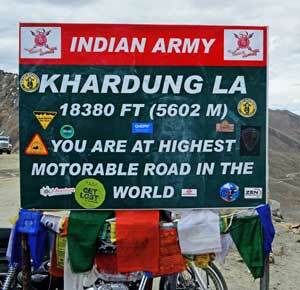 Arrival at Leh airport and transferred to the Hotel. Delhi to Leh fight is an hours spectacular over the Pan-himalays, you can take nice early morning picture sun touching the horizon and the magnificent mountain view. As soon as you get out of the airport our representative will guide you to the hotel, there a welcome drink and traditional white scarf welcome will be hosted by the hotel reception. Since your ascending form 200 to 3500 Meters. form the sea level you need a Complete day for Acclimatise. Later evening visit to Leh Market, Leh Palace and Shanti Stupa. O/N Leh. After breakfast drive to Likir, Alchi Monastery, Pathar Sahib Gurudwara, Hall of Fame museum and Sangam (Confluence of Zanskar & Indus River). 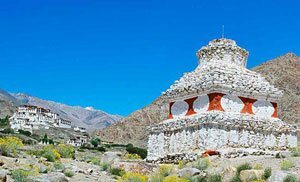 Alchi monastery has 1000 year old paintings of Buddha and other deities on a mandala structure building build by a famous Tibetan architect in 11 century, Basgo is on the way after Nimo know for its 400-yrs old castle. 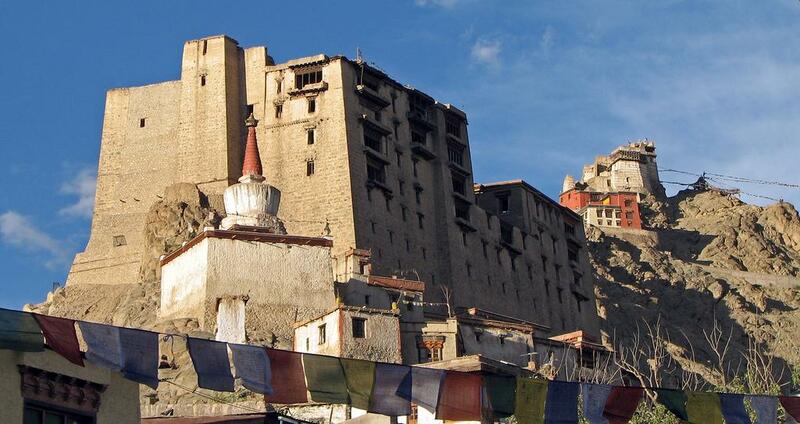 Likir monastery has a museum and a novice school, the view is magnificent from the top of monastery O/N Leh. After early Breakfast leave for Pangong Lake (14,500 ft) through Changla Pass 17,350 ft, 3rd highest motorable road in the world. 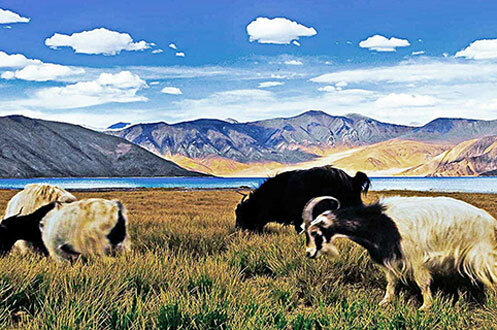 Enjoy the beauty of the lake on the Banks of pangong while appreciating the changing Colors and fascinating high altitude of the Lake. Upon arrival we check in at our Camp Near Pangong lake. Overnight at deluxe camp. O/N Pangong.